The initial idea came from The Institute for the Study of Totalitarian Regimes in Prague. The researchers of the Institute compiled a selection of photographs from the records of the former Czechoslovak state security services, and created an historical exhibition on the basis of these records. 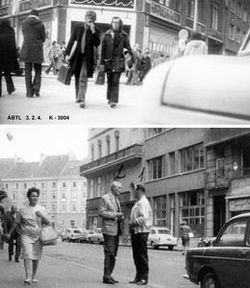 The photographs were taken covertly in the streets of Prague, of people who supposedly belonged to or were in contact with political dissident circles. Variophone, theremin terpsitone, rhythmicon, emiriton, ekvodin, graphical sound – just to mention a few of the amazing innovations of the beginning of the 20th century in Soviet Russia, a country and time turbulent with revolutions, wars and totalitarian dictatorship. 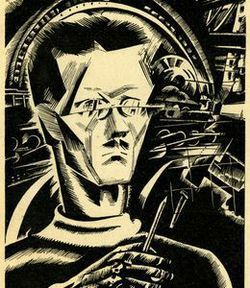 While the history of Russian post-revolutionary avant-garde art and music is fairly well documented, the inventions and discoveries, names and fates of researchers of sound, creators of musical machines and noise orchestras, founders of new musical technologies have been largely forgotten except, perhaps, Leon Theremin, inventor of the first electronic musical instrument, the theremin. The exhibition presents a history of CEU through its structures, tracing the separate stories of the Monument Building (Festetics Palace, 9 Nádor Street) and the Open Society Archives (Goldberger House, 32 Arany János Street) from their construction to the present day. The final segment lays out current plans for campus redevelopment against a backdrop of thought-provoking visualizations of some of the never implemented designs for the main university buildings.